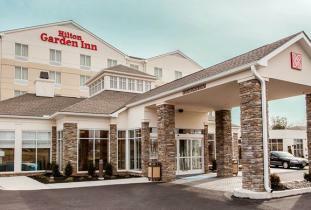 Enjoy the sleek and modern décor at the Hilton Garden Inn Winnipeg South. Soak in the city views from any of our guest rooms. 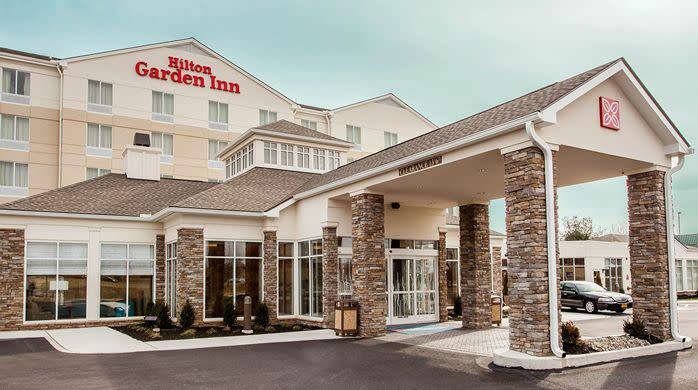 With a perfect location, our hotel provides easy access to restaurants, retailers and sporting event venues. Use our free shuttle to explore the Winnipeg area. The on-site restaurant is a perfect place to socialize and dine, whether with a group or alone. End the day with a night cap at our lounge. Worn out after a long day? Retire to your room and order a delicious meal from our room service menu. If you need to catch up on work, take advantage of our business center. Our conference center is the ultimate venue for your business meeting, social gathering or community event. With room for up to 400 guests we can accommodate and events of any size. After work, take a plunge in our indoor pool with a whirlpool or relax on the patio. Keep up with your fitness routine in our modern fitness center equipped with cardio equipment.